ENGLAND . 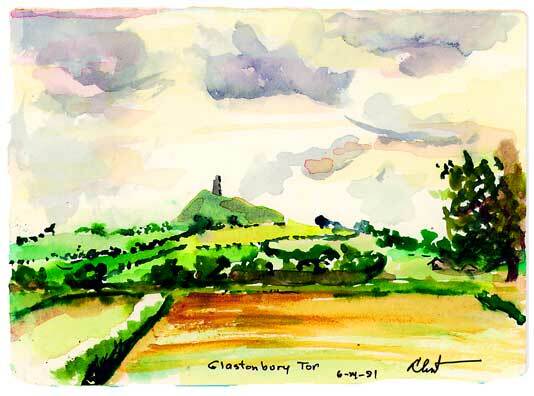 Glastonbury Tor . The Tor pierces a dramatic sky, is visible for miles, atop a hill for defense from attackers. Phyllis's son Liam said, "It's located on geomantic ley lines-a destination for pilgrims seeking an honored past, expecting grace." King Arthur's Camelot is only15 miles away. Historic stones lie about like corpses. I breathe and nap among the ruins, soaking up legends of a thousand years.